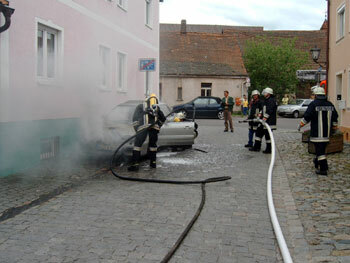 On 05/20/2006 at 01:40 p m the fire departments of Nittenau and Bergham were called for a burning car. 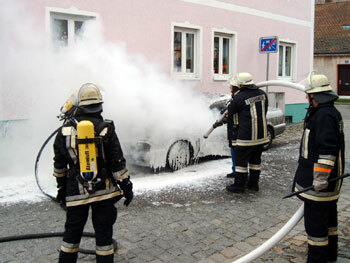 The VFD Nittenau First Responder found a car which with fire in the engine compartment and heavy smoke emission. 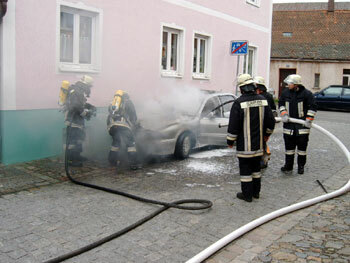 The VFD Nittenau attacked with a fast-attack-hose and foam under SCBA. Intervention of the VFD Bergham was not necessary. After a few minutes the fire was extinguished. The car belonged to a women who was visiting a funeral.